Slugs are a URL friendly of the post title. WordPress automatically generates slugs but you can edit and translate slugs below the post title. In this post I show you some tips to translate slugs in your WordPress site: Remove stop words, use short slugs but containing the most important keywords, use transliteration for non-Latin alphabets and don’t forget to translate slugs in categories, tags and custom post types. A slug is the end part of the URL which identifies a post or page using human-readable keywords. This name is based on the use of “slug” in the news media to indicate a short name given to an article only for internal use. Slugs are usually a URL friendly version of the post title. WordPress automatically generates slugs from a post’s title but a slug can be anything you like. You can edit the slug below the post title. Slugs are meant to be used with permalinks as they help describe what the content at the URL is. Slugs are usually entirely lowercase, in Latin letters, without accents, umlauts or apostrophes and whitespace characters replaced by hyphens, in order to avoid being encoded. Punctuation marks are generally removed. Once it is published, the slug should not be changed. If it is changed any links to your older page will be broken because the permalink to your post will now be different. A stop word is a commonly used word (“a”, “and”, “the”, etc) that a search engine has been programmed to ignore, both when indexing entries for searching and when retrieving them as the result of a search query. Also, WordPress use hyphens (-) instead of undercores (_). Google recommend use hyphens in your URLs. When it comes to translating slugs to languages with non-Latin alphabet or containing non-Latin letters, a good solution is to use transliteration. The transliteration process means that a word written in a character set (like the Cyrillic alphabet) is transposed in another alphabet (Latin). In order to make slugs more memorable you can use shorter URL slugs when translating, but note that the slug should contain the most important keywords of your post in each language (2, 3, 4 or 5 keywords max). Google likes a short slug that contains the keywords describing the post. You can strip the category base (/category/) from the category URL, using WordPress SEO by Yoast. Go to SEO > Permalink settings and check the box “Strip the category base”. 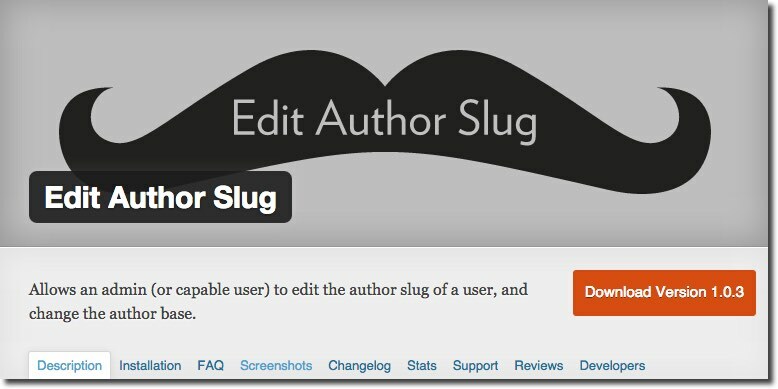 There is a plugin, called Edit Author Slug, that allows an admin (or capable user) to edit the author slug of a user, and change the author base. I hope this article has helped you translate your website slugs. What other considerations do you have in mind when translating slugs?